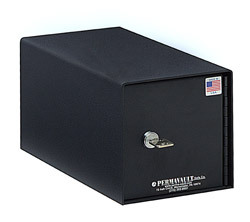 The instant you store your belongings into the Perma-Vault Pistol Boxes, Perma-Vault is on guard, protecting you against robbery and theft. It’s large capacity offers convenient access for most pistols. 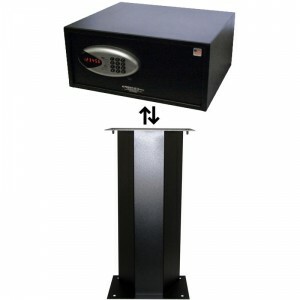 Perma-Vault’s restricted keyways protect against unauthorized key duplication. Keys removable only in locked position. 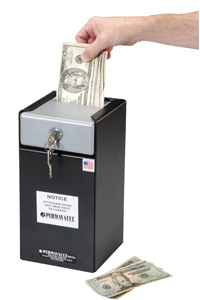 These Stack-able Large Capacity Pistol Boxes are made in the USA. and fully padded bottom to protect valuables. 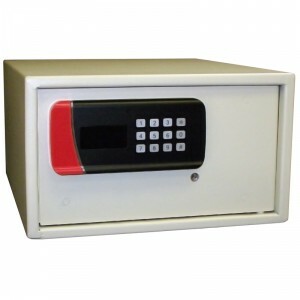 PVB-5813 Large capacity pistol box with security lock and two (2) keys. Foam insert bottom 7″ x 8-3/4″ x 13″ 9 lbs. 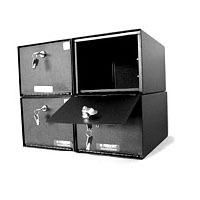 PVB-5813-M Large capacity pistol box with Medeco high security lock and two (2) keys. 7″ x 8-3/4″ x 13″ 9 lbs. Keys removable only in locked position. Custom key control systems designed to fit your specifications: master keyed, keyed alike, or keyed different.